Norwich head coach Daniel Farke felt his side had given Championship leaders Leeds United plenty to think about at Carrow Road on Saturday, especially in the opening stages before eventually losing out 3-0. 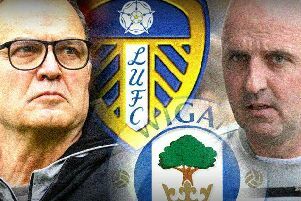 “Leeds are a good side, with a lot of quality, who play at a very high level and you could see why they are top of the league. But today I 100 per cent thought we could beat them,” he said. “For the first 25 minutes we gave them lots of problems, probably the most problems any side has given them so far this season, but when you play like that you need to take your chances. It was the same in the second half. “We played very well for 20 minutes or so but then they score with their first shot of the half and it is game over. “The players won 60 per cent of their duels and left their hearts on the pitch. “But in this game if you don’t take your chances you will be punished. Norwich are in Carabao Cup action at Cardiff tomorrow with an East Anglia derby at Ipswich next Sunday.